Heavenly – absolutely melts in your mouth. Preheat oven to 350 degrees. Melt butter. Mix crumbs, herbs, and Parmesan cheese. Dip fish in butter, then in crumbs. 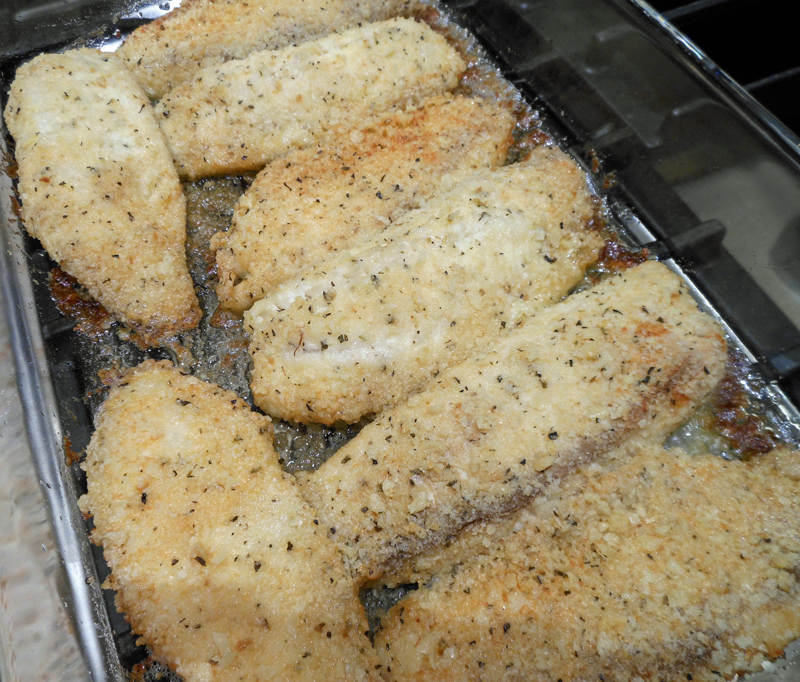 Arrange in baking dish and bake 25 – 30 minutes. Serves 3 – 4.